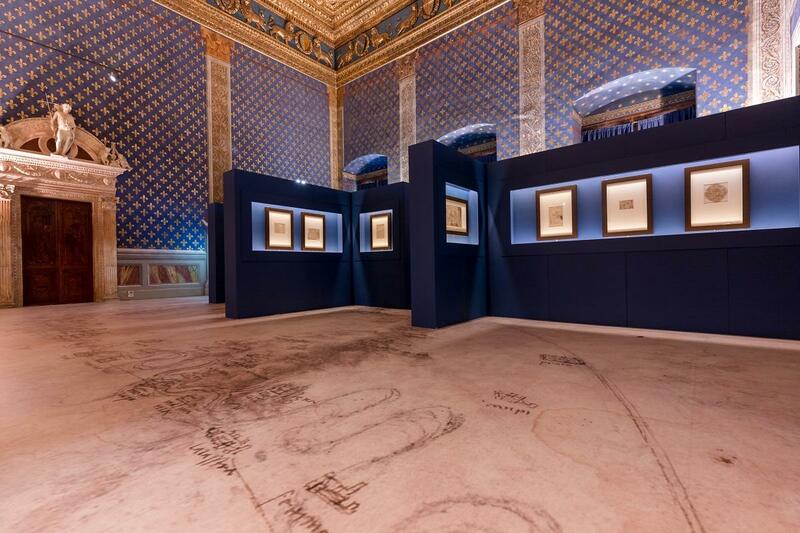 Until June 24th, in the wonderful Room of the Lilies in Palazzo Vecchio in Piazza della Signoria in Florence, visitors can admire 12 sheets from the Codex Atlanticus, the biggest collection in the world of drawings and writings by Leonardo da Vinci. The pages, selected by the curator Cristiana Acidini, are those where Leonardo writes about Florence, the city where he first studied and which made him famous. They were written between the 1470s and 1519, the year the genius died. They show his life, his thinking and his philosophy, and they include interesting everyday observations, such as his critiques on the development of perspective in the paintings of his friend Botticelli. But most of all they tell of the deep bond between Leonardo and Florence, which carried on despite his moving to Milan in 1482 and then to France. The exhibition “Leonardo da Vinci and Florence: selected sheets from the Codex Atlanticus” is a unique opportunity to see these pages from the Codex, which is usually stored at the Biblioteca Ambrosiana in Milan. The pages, which shed light on Leonardo's life and times in Florence, were borrowed for the celebrations of the Year of Leonardo, 500 years after the Master's death. Ending the exhibition is the mysterious painting “Bust of Christ the Redeemer”: most likely a work of Leonardo's favorite student, Salaì, its real origin is nevertheless still unknown. What's certain is that the image of Christ is portrayed with such fondness and empathy as only Leonardo could express.